Following the ground-breaking decision at COP23 last year to advance work in the area of agriculture in the context of UNFCCC climate talks, Parties and observers now have two years to work on "bold actions" needed in agriculture before more specific ones are agreed upon in 2020. This briefing paper is based on CUTS International’s submission, as an observer, to this new “Koronivia Joint Work on Agriculture”. 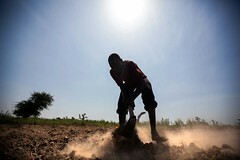 After exploring the socioeconomic and food security dimensions of climate change in developing countries’ agriculture sector, the paper provides recommendations on taking forward their interests at UNFCCC in the areas of capacity building, leveraging finance, access to technology, knwoledge sharing and promotion of collaboration.